When you’re looking for an easy vacation that requires minimal hassle, planning and decision-making, your two best options are a cruise or all-inclusive resort. Both of these vacations roll the cost of food, activities and entertainment into one easy price, making it easy to budget for your trip without a lot of hidden costs; they also shift the burden of planning every detail away from the de facto family vacation planner (hint: usually, it’s mom). 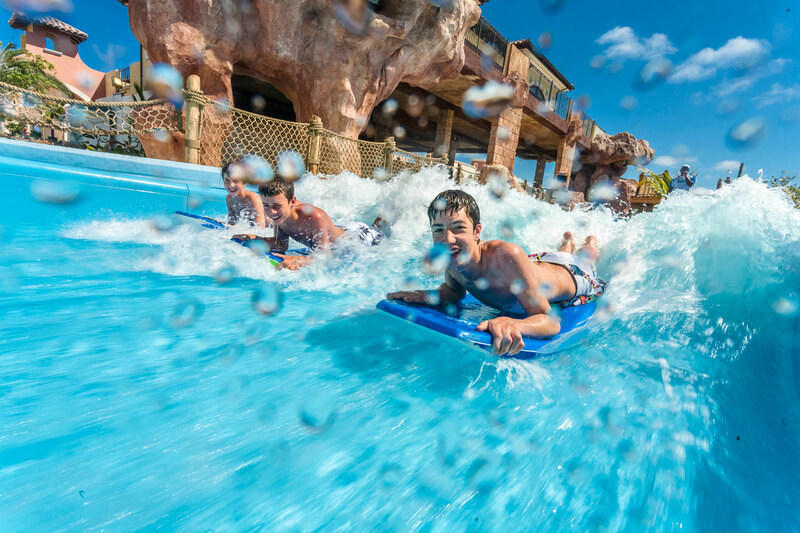 Both vacations offer a variety of family-focused activities exclusively for children in kids’ clubs, for parents in adults-only spaces, and for families to enjoy together. For these reasons, both cruises and all-inclusive resorts are ideal options for families. Let’s take a look at the pros and cons of these options to help you choose which vacation is right for you and your kids. Unlike so many family vacations that feel like a lot of work in the end, a family cruise can actually feel restful for parents, while also providing the fun and excitement that kids desire. For Kids: Kids’ activities on cruises are time-honored, and they have evolved over the years to suit kids’ needs, including video games and arcades, hands-on science experiments, fun dress-up parties, superhero training and themed spaces—not to mention the increasingly bigger and better waterslides, pools, ice skating rinks and even race tracks. For Adults: Parents can enjoy the adults-only spaces on the cruise ship, from the pool or hot tub to the nightclub, while their children are looked after in the nursery or kids’ club. Often, the best thing a parent will do on a cruise is find a lounge chair in the sun and take a nap—it’s one of those small luxuries you don’t get to enjoy very often with little ones around. For the Whole Family: Cruises are a great way to explore multiple destinations as a family without the hassle of unpacking, repacking and transporting everyone from city to city. They also are a great option for multi-generational families, with plenty of options for all ages. 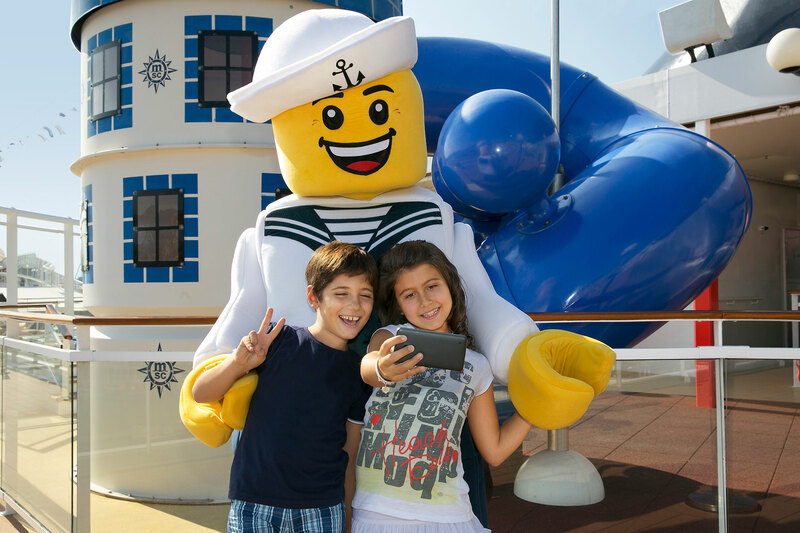 The most family-friendly cruise lines schedule family-focused activities throughout the trip, like trivia, scavenger hunts and other challenges for families to enjoy together. Some cruise lines, such as Royal Caribbean, offer My Family Time dining, allowing kids and parents to eat together for the first part of dinner, followed by the kids’ club staff whisking the kids away just as they are starting to get antsy, allowing parents to enjoy the rest of their meal in blissful peace. Crowds: The biggest drawback of a cruise (as opposed to an all-inclusive resort or other type of vacation) is that you will generally be dealing with big crowds, particularly during the most popular times of year for family travel: school breaks, holidays and summer vacation. Most cruise ships have enough going on that they don’t seem overwhelmingly crowded at any given time, but our family has experienced long lines and at-capacity kids’ clubs during peak travel season—a bummer for the whole family. Beverages: Another downside is that, unlike an all-inclusive resort, you will pay extra for drinks. Of course that means alcohol is extra, but also soda and juice on almost all cruise ships will cost you an extra fee. With kids, that can add a significant amount to your final tab. 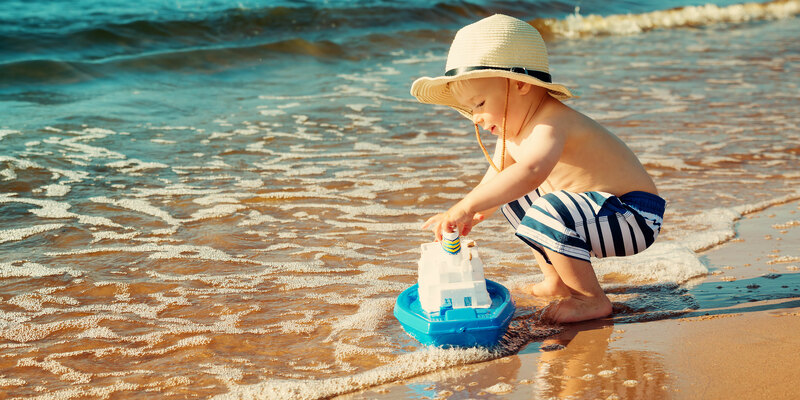 All-inclusive resort vacations are ideal for families in many of the same ways cruises are. Daycare is included; you typically have your choice of both casual and elegant restaurants; and even better news for parents: your drinks are included! For Kids: At an all-inclusive resort, your kids will enjoy drop-off care at your leisure in kids’ clubs, where they’ll find a variety of options waiting for them, from crafts to game rooms and special themed nights, all organized according to their age group. Resorts often have special kids’ pool areas and playgrounds, too. At select Club Med resorts, kids can learn new skills through offerings such as Club Med Punta Cana‘s CREACTIVE, a program that offers kids dozens of activities inspired by Cirque du Soleil, including acrobatic bungee and trapeze. 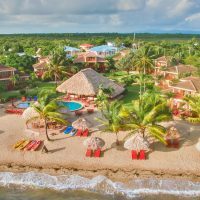 For Adults: All-inclusive resort vacations are ideal for adults, given these beautiful beach or ski resorts provide plenty of space to stretch out and relax in a shaded cabana or sip a frosty drink poolside, followed by a specialty spa treatment or something more active, like windsurfing, paddleboarding or skiing. For the Whole Family: The biggest advantage of an all-inclusive resort compared to a cruise ship will be the size of your room. Resort rooms are at minimum as large as a standard hotel room (double the size of an interior cruise cabin), with villa and suite options that offer private pools, verandas and other features. These are practically unheard of on cruise ships, except for the highest price suites. If seasickness is an issue for anyone in your party, or if the idea of just staying in one place is better, an all-inclusive resort is your best option. Though it varies based on the location, resort and time of year, you will generally pay more for an all-inclusive resort versus a cruise. Though there are some all-inclusives in the United States, most are located in Mexico, the Caribbean and throughout Europe, so you will also need to factor in the cost of getting to your destination, as opposed to cruises, which leave from various U.S. ports. Also, families who crave a lot of variety may not be satisfied by staying put at a resort, where you’re usually somewhat insulated from the outside culture. Most parents we spoke to who had taken both types of vacations preferred cruises for the variety of offerings for families and value for the money. Many parents also noted they enjoyed all-inclusive resorts for their kid-free getaways, such as special anniversary trips.